This Floorplan has Nine-foot Ceilings, separate Dining Area, Dual Entry into Bathroom with Soaking Tub, Utility Room with Full Size Washer & Dryer Connections, Walk in Closet & Large Private Patio/Balcony with Outside Storage. *Select units reflect upgraded Appliances, Cabinetry, Countertops, Wood Style Flooring & Hardware. This Floorplan has Nine-foot Ceilings, separate Dining Area, Dual Entry into Bathroom with Soaking Tub, Utility Room with Full Size Washer & Dryer Connections, Walk in Closet & Large Private Patio/Balcony with Outside Storage. This floorplan has Nine-foot Ceilings, Coat Entry Closet, separate Dining & Pantry Area, Open Breakfast Bar, Utility Closet with Full Size Washer & Dryer Connections, Walk in Closet, Wood Burning Fireplace in select units, and Expansive Private Patio/Balcony with Outside Storage. 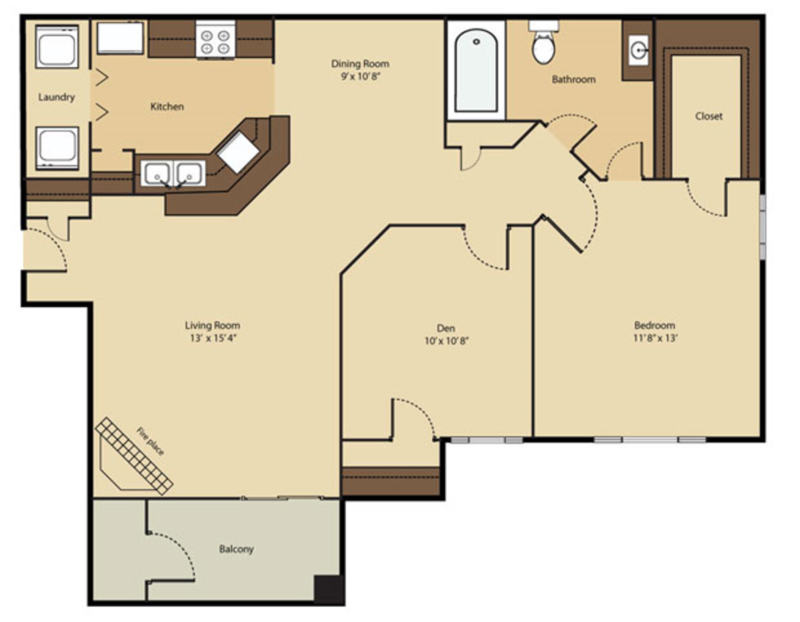 *Select units reflect upgraded Appliances, Cabinetry, Countertops, Wood Style Flooring & Hardware. This Floorplan has Nine-foot Ceilings, Coat Entry Closet, separate Dining & Pantry Area, Open Breakfast Bar, Utility Closet with Full Size Washer & Dryer Connections, Walk in Closet, Wood Burning Fireplace in select units, and Expansive Private Patio/Balcony with Outside Storage. 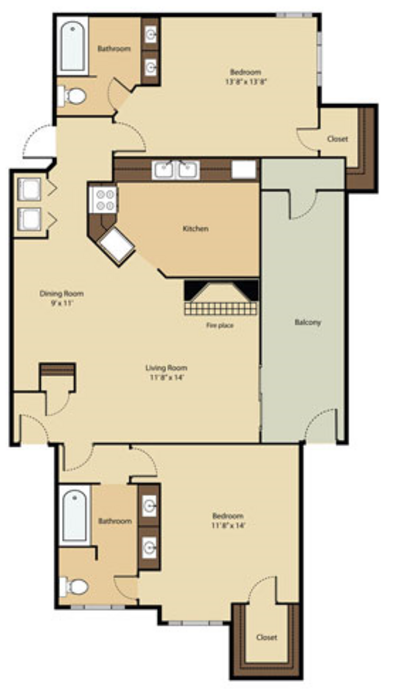 This Floorplan has Nine-foot Ceilings, Large Entry Coat Closet, separate Dining Area, Large Wrap Around Kitchen, Dual Entry into Bathroom with Soaking Tub, Utility Room with Full Size Washer & Dryer Connections, Walk in Closet, Wood Burning Fireplace in select unit & Large Private Patio/Balcony with Outside Storage. *Select units reflect upgraded Appliances, Cabinetry, Countertops, Wood Style Flooring & Hardware. This Floorplan has Nine-foot Ceilings, separate Dining Area, Dual Entry into Bathroom with Soaking Tub, Utility Room with Full Size Washer & Dryer Connections, Walk in Closet & Large Private Patio/Balcony with Outside Storage . *S*Select units reflect upgraded Appliances, Cabinetry, Countertops, Wood Style Flooring & Hardware. This Floorplan has Nine-foot Ceilings, separate Dining Area, Dual Entry into Bathroom with Soaking Tub, Utility Room with Full Size Washer & Dryer Connections, Walk in Closet , Large Private Patio/Balcony with Outside Storage & attached Breezeway Garage. This Floorplan has Nine-foot Ceilings, Large Entry Coat Closet, separate Dining Area, Large Wrap Around Kitchen, Dual Entry into Bathroom with Soaking Tub, Utility Room with Full Size Washer & Dryer Connections, Walk in Closet, Wood Burning Fireplace in select unit & Large Private Patio/Balcony with Outside Storage. This Floorplan has Nine-foot Ceilings, Coat Entry Closet, separate Dining & Pantry Area, Open Breakfast Bar, Utility Closet with Full Size Washer & Dryer Connections, Walk in Closet, Wood Burning Fireplace in select units & Expansive Private Patio/Balcony with Outside Storage. *Select units reflect upgraded Appliances, Cabinetry, Countertops, Wood Style Flooring & Hardware. 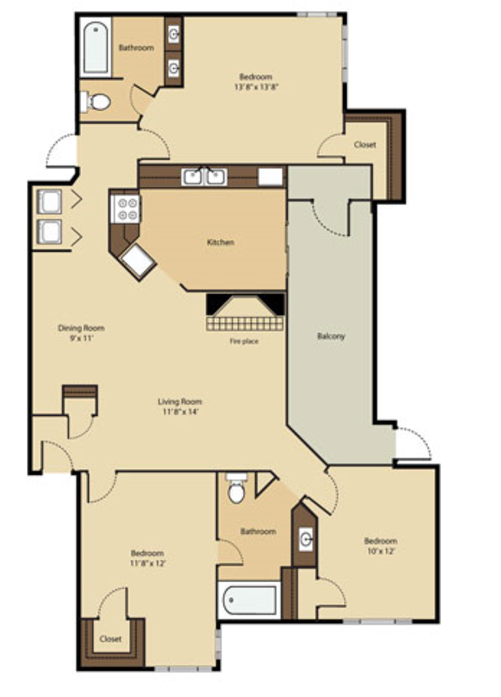 This Floorplan has Nine-foot Ceilings, Large Entry Coat Closet, separate Dining Area, Large Wrap Around Kitchen, Dual Entry into Bathroom with Soaking Tub, Utility Room with Full Size Washer & Dryer Connections, Walk in Closet, Wood Burning Fireplace in select unit, Large Private Patio/Balcony with Outside Storage & attached Breezeway Garage. *Select units reflect upgraded Appliances, Cabinetry, Countertops, Wood Style Flooring & Hardware. 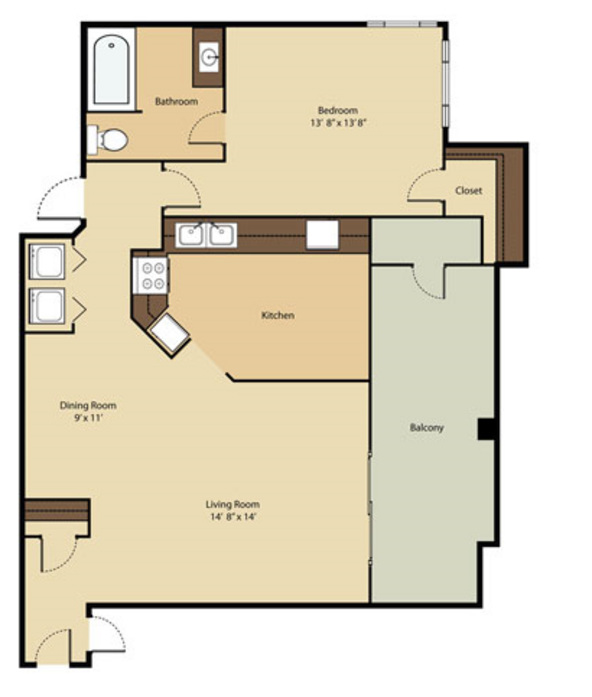 This Floorplan has Nine-foot Ceilings, Large Entry Coat Closet, Separate Dining Area, Large Wrap around Kitchen, Dual Entry into Bathroom with Soaking Tub, Utility Room with Full Size Washer & Dryer Connections, Walk in Closet, Wood Burning Fireplace in select units, Large Private Patio/Balcony with Outside Storage & attached Breezeway Garage. *Select units reflect upgraded Appliances, Cabinetry, Countertops, Wood Style Flooring & Hardware. This Floorplan has Nine-foot Ceilings, Entry Foyer with Coat Closet, separate Dining Area, Large Kitchen, Dual Entry into Bathroom with Soaking Tub, Utility Room with Full Size Washer & Dryer Connections, Walk in Closet, Wood Burning Fireplace in select units, Expansive Private Patio/Balcony with Outside Storage & attached Breezeway Garage. *Select units reflect upgraded Appliances, Cabinetry, Countertops, Wood Style Flooring & Hardware. This Floorplan has Nine-foot Ceilings, separate Dining Area, Dual Entry into Bathroom with Soaking Tub, Utility Room with Full Size Washer & Dryer Connections, Walk in Closet , Large Private Patio/Balcony with Outside Storage & attached Breezeway Garage. 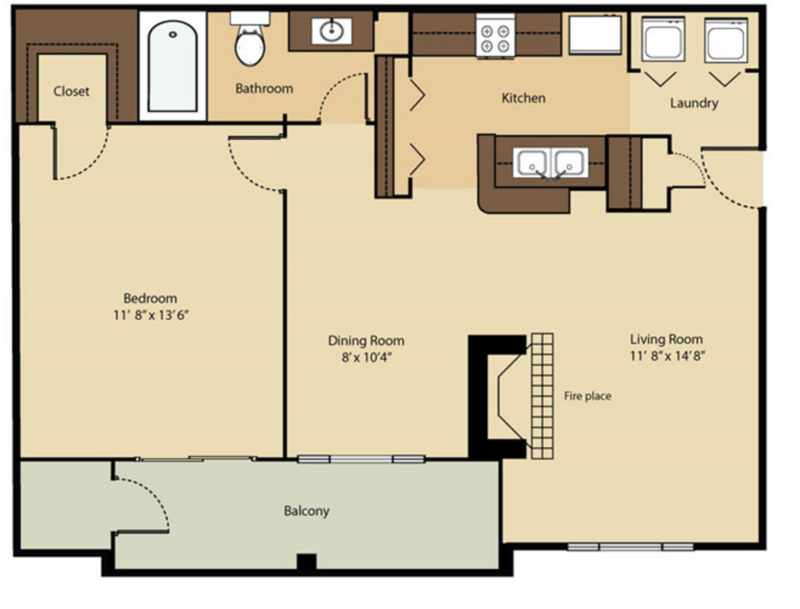 *Select units reflect upgraded Appliances, Cabinetry, Countertops, Wood Style Flooring & Hardware. 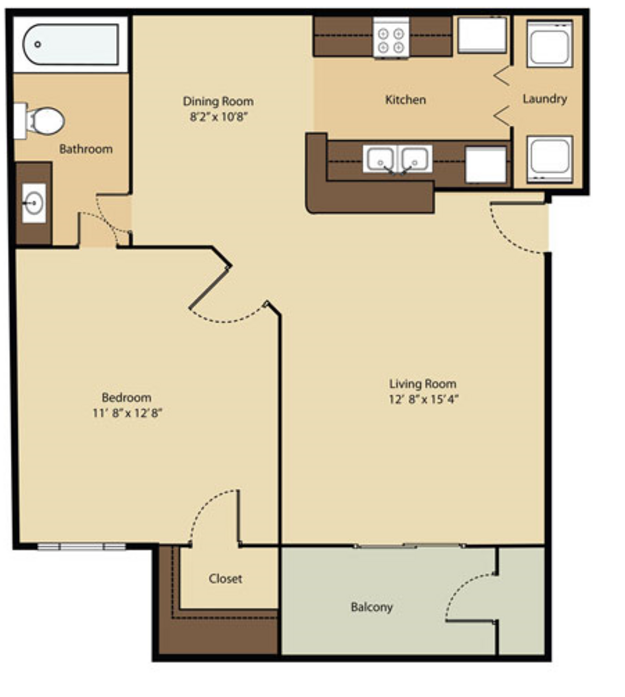 This Floorplan has Nine-foot Ceilings, Large Entry Coat Closet, separate Dining Area, Large Wrap Around Kitchen, Dual Entry into Bathroom with Soaking Tub, Utility Room with Full Size Washer & Dryer Connections, Walk in Closet, Wood Burning Fireplace in select unit, Large Private Patio/Balcony with Outside Storage & attached Breezeway Garage. This Floorplan has Nine-foot Ceilings, Entry Foyer with Coat Closet, separate Dining Area, Large Kitchen, Dual Entry into Bathroom with Soaking Tub, Utility Room with Full Size Washer & Dryer Connections, Walk in Closet, Wood Burning Fireplace in select units, Expansive Private Patio/Balcony with Outside Storage & attached Breezeway Garage. This Floorplan has Nine-foot Ceilings, Entry Coat & Hall Closet, separate Dining Area,Open Kitchen with Breakfast Bar, Kitchen Pantry, Dual Entry into Bathroom with Soaking Tub, Utility Room with Full Size Washer & Dryer Connections, Generous Walk in Closet in Master Bedroom, Wood Burning Fireplace in select units & Expansive Private Patio/Balcony with Outside Storage. 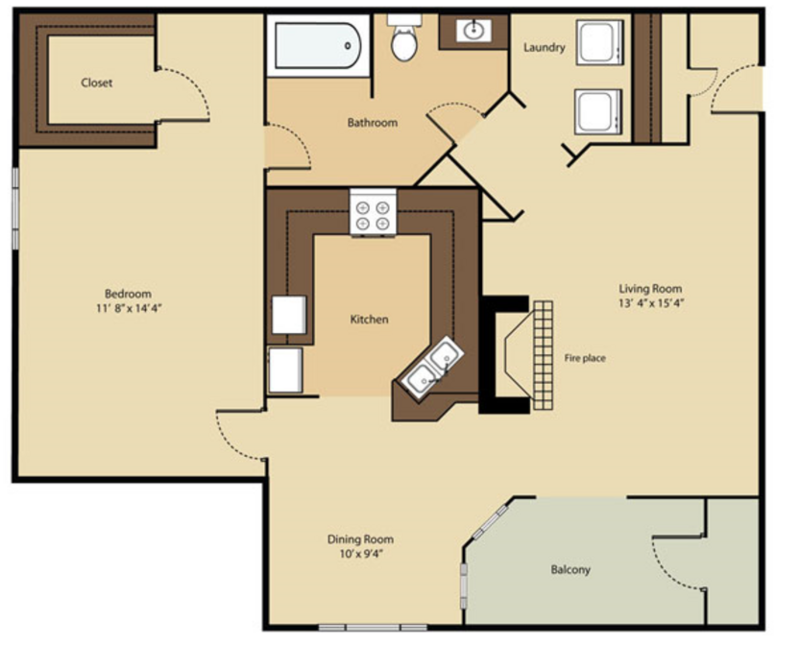 *Select units reflect upgraded Appliances, Cabinetry, Countertops, Wood Style Flooring & Hardware. This Floorplan has Nine-foot Ceilings, Entry Coat & Hall closet, separate Dining Area, Open Kitchen with Breakfast Bar, Kitchen Pantry, Dual Entry into Bathroom with Soaking Tub, Utility Room with Full Size Washer & Dryer Connections, Generous Walk in Closet in Master Bedroom, Wood Burning Fireplace in select units & Expansive Private Patio/Balcony with Outside Storage. This Floorplan has Nine-foot Ceilings, Entry Coat & Hall Closet, separate Dining Area,Open Kitchen with Breakfast Bar, Kitchen Pantry, Dual Entry into Bathroom with Soaking Tub, Utility Room with Full Size Washer & Dryer Connections, Generous Walk in Closet in Master Bedroom, Wood Burning Fireplace in select units, Large Private Patio/Balcony with Outside Storage & attached Breezeway Garage. *Select units reflect upgraded Appliances, Cabinetry, Countertops, Wood Style Flooring & Hardware. This Floorplan has Nine-foot Ceilings, Entry Coat & Hall closet, separate Dining Area, Open Kitchen with Breakfast Bar, Kitchen Pantry, Dual Entry into Bathroom with Soaking Tub, Utility Room with Full Size Washer & Dryer Connections, Generous Walk in Closet in Master Bedroom, Wood Burning Fireplace in select units & Expansive Private Patio/Balcony with Outside Storage. 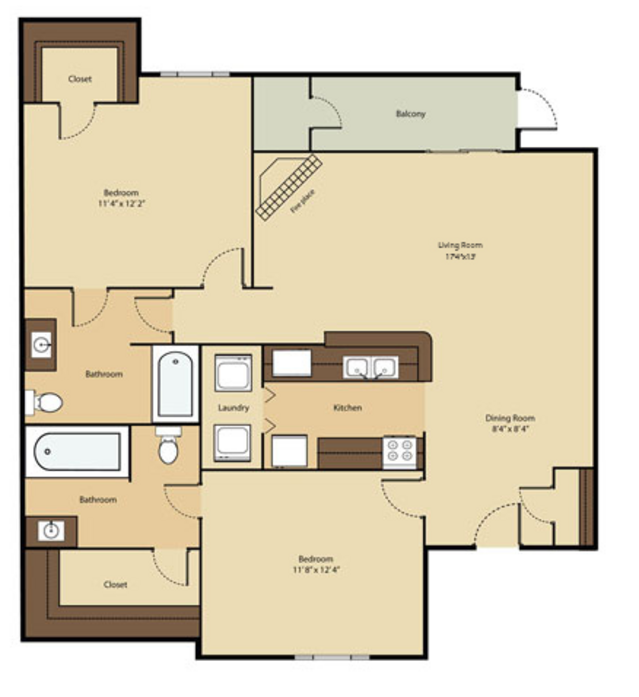 *Select units reflect upgraded Appliances, Cabinetry, Countertops, Wood Style Flooring & Hardware. This Floorplan has Nine-foot Ceilings, Entry Coat & Hall closet, separate Dining Area, Open Kitchen with Breakfast Bar, Kitchen Pantry, Dual Entry into Bathroom with Soaking Tub, Utility Room with Full Size Washer & Dryer Connections, Generous Walk in Closet in Master Bedroom, Wood Burning Fireplace in select units, Expansive Private Patio/Balcony with Outside Storage & attached Breezeway Garage. This Floorplan has Nine-foot Ceilings, Entry Coat & Hall closet, separate Dining Area, Open Kitchen with Breakfast Bar, Kitchen Pantry, Dual Entry into Bathroom with Soaking Tub, Utility Room with Full Size Washer & Dryer Connections, Generous Walk in Closet in Master Bedroom, Wood Burning Fireplace in select units, Expansive Private Patio/Balcony with Outside Storage & attached Breezeway Garage. *Select units reflect upgraded appliances, cabinetry, countertops, wood style flooring, and hardware. This Floorplan has Nine-foot Ceilings, Entry Coat Closet, separate Dining Area, Open Kitchen with Breakfast Bar, Kitchen Pantry, Dual Entry into Bathroom with Soaking Tub, Master Bedroom with Ensuite Bath, Utility Closet with Full Size Washer & Dryer Connections, Generous Walk in Closet in both Bedrooms, Open Living & Dining Area with Wood Burning Fireplace in select units & Expansive Private Patio/Balcony with Outside Storage. This Floorplan has Nine-foot Ceilings, Entry Coat Closet, separate Dining Area, Open Kitchen with Breakfast Bar, Kitchen Pantry, Dual Entry into Guest Bathroom with Soaking Tub, Master Bedroom with Ensuite Bath, Utility Closet with Full Size Washer & Dryer Connections, Generous Walk in Closet in both Bedrooms, Open Living & Dining Area with Wood Burning Fireplace in select units & Expansive Private Patio/Balcony with Outside Storage. *Select units reflect upgraded Appliances, Cabinetry, Countertops, Wood Style Flooring & Hardware. This Floorplan has Nine-foot Ceilings, Entry Coat Closet, Open Living & Dining Area, Large Kitchen, Kitchen Pantry, Master Bedroom with Ensuite Bath & Dual Vanities, Guest bedroom has Dual Entry & Dual Vanities, Full Size Washer & Dryer Connections, Generous Walk in Closets in Both Bedrooms, Open Living & Dining Area with Wood Burning Fireplace in select units & Expansive Private Patio/Balcony with Outside Storage. *Select units reflect upgraded Appliances, Cabinetry, Countertops, Wood Style Flooring & Hardware. This Floorplan has Nine-foot Ceilings, Entry Coat Closet, Open Living & Dining Area, Large Kitchen, Master Bedroom with Ensuite Bath & Dual Vanities, Guest Bedroom has Dual Entry & Dual Vanities, Full Size Washer & Dryer Connections, Generous Walk in Closets in Both Bedrooms, Open Living & Dining Area with Wood Burning Fireplace in select units & Expansive Private Patio/Balcony with Outside Storage. This Floorplan has Nine-foot Ceilings, Entry Coat Closet, Open Living & Dining Area, Large Kitchen, Master Bedroom with Ensuite Bath & Dual Vanities, Guest Bedroom has Dual Entry & Dual Vanities, Full Size Washer & Dryer Connections, Generous Walk in Closets in Both Bedrooms, Open Living & Dining Area with Wood Burning Fireplace in select units, Expansive Private Patio/Balcony with Outside Storage & attached Breezeway Garage. *Select units reflect upgraded Appliances, Cabinetry, Countertops, Wood Style Flooring & Hardware. This Floorplan has Nine-foot Ceilings, Entry Coat Closet, Open Living & Dining Area, Large Kitchen, Kitchen Pantry, Master Bedroom with Ensuite Bath & Dual Vanities, Guest Bedroom has Dual Entry & Dual Vanities, Bookshelves, Full Size Washer & Dryer Connections, Generous Walk in Closets in Both Bedrooms, Open Living & Dining Area with Wood Burning Fireplace in select units & Expansive Private Patio/Balcony with Outside Storage. *Select units reflect upgraded Appliances, Cabinetry, Countertops, Wood Style Flooring & Hardware. This Floorplan has Nine-foot Ceilings, Entry Coat Closet, Open Living & Dining Area, Large Kitchen, Master Bedroom with Ensuite Bath & Dual Vanities, Guest Bedroom has Dual Entry & Dual Vanities, Full Size Washer & Dryer Connections, Generous Walk in Closets in Both Bedrooms, Open Living & Dining Area with Wood Burning Fireplace in select units, Expansive Private Patio/Balcony with Outside Storage & attached Breezeway Garage. This Floorplan has Nine-foot Ceilings, Entry Coat Closet, Open Living & Dining Area, Large Kitchen, Master Bedroom with Ensuite Bath & Dual Vanities, Guest Bedroom has Dual Entry & Dual Vanities, Bookshelves, Full Size Washer & Dryer Connections, Generous Walk in Closets in Both Bedrooms, Open Living & Dining Area with Wood Burning Fireplace in select units, Expansive Private Patio/Balcony with Outside Storage & attached Breezeway Garage. *Select units reflect upgraded Appliances, Cabinetry, Countertops, Wood Style Flooring & Hardware. This Three Bedroom Floorplan has Nine-foot Ceilings, Entry Coat Closet, Open Living & Dining Area, Large Kitchen, Master Bedroom with Ensuite Bath & Dual Vanities, 1st Guest Bedroom has Dual Bath Entry, Full Size Washer & Dryer Connections, Generous Walk in Closets, Open Living & Dining Area with Wood Burning Fireplace in select units & Expansive Private Patio/Balcony with Outside Storage. This Three Bedroom Floorplan has Nine-foot Ceilings, Entry Coat Closet, Open Living & Dining Area, Large Kitchen, Master Bedroom with Ensuite Bath & Dual Vanities, 1st Guest Bedroom has Dual Bath Entry, Full Size Washer & Dryer Connections, Generous Walk in Closets, Open Living & Dining Area with Wood Burning Fireplace in select units, Expansive Private Patio/Balcony with Outside Storage & attached Breezeway Garage. *Select units reflect upgraded Appliances, Cabinetry, Countertops, Wood Style Flooring & Hardware. This Three Bedroom Floorplan has Nine-foot Ceilings, Entry Coat Closet, Open Living & Dining Area, Large Kitchen, Master Bedroom with Ensuite Bath & Dual Vanities, 1st Guest Bedroom has Dual Bath Entry, Full Size Washer & Dryer Connections, Generous Walk in Closets, Open Living & Dining Area with Wood Burning Fireplace in select units & Expansive Private Patio/Balcony with Outside Storage. *Select units reflect upgraded Appliances, Cabinetry, Countertops, Wood Style Flooring & Hardware. This Three Bedroom Floorplan has Nine-foot Ceilings, Entry Coat Closet, Open Living & Dining Area, Large Kitchen, Master Bedroom with Ensuite Bath & Dual Vanities, 1st Guest Bedroom has Dual Bath Entry, Full Size Washer & Dryer Connections, Generous Walk in Closets, Open Living & Dining Area with Wood Burning Fireplace in select units, Expansive Private Patio/Balcony with Outside Storage & attached Breezeway Garage. Ranging from 650 to 1,322 square feet, the apartments at Round Grove offer roomy interiors and modern updates. Choose from a selection of 1, 2 and 3 bedroom floor plans that provide the flexibility to customize your space to your unique tastes. Every home in this Lewisville, TX community features an open living room and a separate dining area ideal for entertaining guests. You can also serve snacks at the breakfast bar and enjoy after-dinner beverages on your private patio or balcony. At the end of the day, retire to your cozy master bedroom, which features a walk-in closet and an attached bathroom.